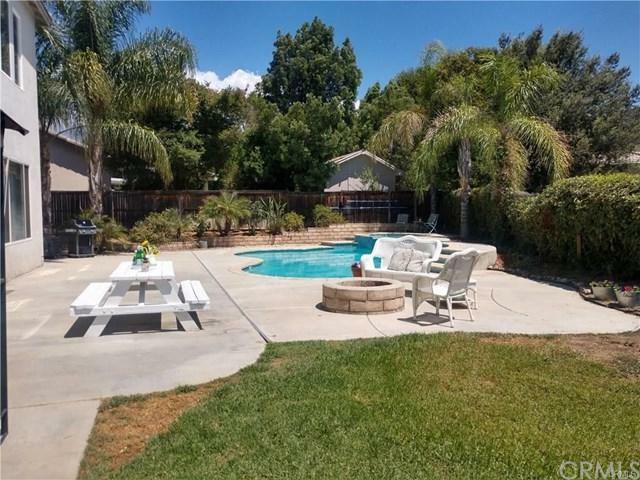 ***Move -In Ready Home*** ***New carpet and paint in this amazing 5 bedroom pool home in a desirable neighborhood in upper Yucaipa with *** NO HOA & Regular Tax base***. Walk into the grand entry way with high ceilings and amply natural light that makes your living room and dining area glow. Entertain with the over sized kitchen with 2 islands that are perfect for parties, a large family, holidays or a quick bite to eat. 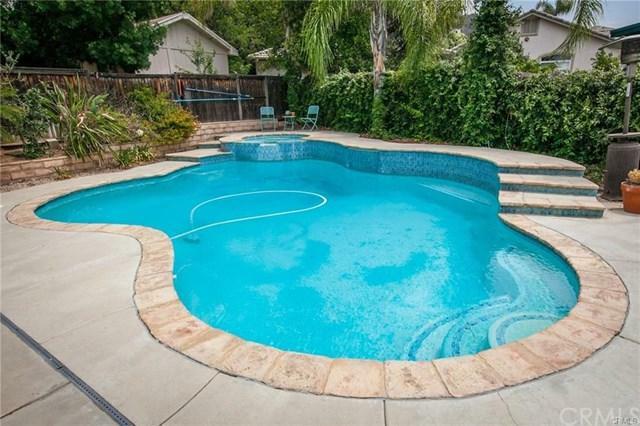 Walk outside and enjoy your relaxing private in-ground pool and spa. Enjoy the summer evenings with the built in fire pit, let the dog run in the grass area and there is still room for the kids toys, sitting area, garden with shed and planter boxes and entertaining space for all. This very comfortable floor plan features 5 spacious rooms, one full sized room and bathroom down stairs, with plenty of storage, a great room with fireplace, over sized laundry room, 3 car garage with 220 V wiring, walking distance to a great school, beautiful park, and scenic hiking trails. Awesome leased solar system for you to enjoy the perfect temperature throughout the house without hurting your budget. Come see this awesome home today! Sold by Devona Garrigus of Garrigus Real Estate.